I don't wear watches. Ask my mom. The last time I tried wearing one was way back in college and it was even my mom who insisted. I'm very active and on the go and it used to feel like wearing a watch is something that's just bothering me whenever I'd be doing things; so I came up with the conclusion that WATCHES AREN'T FOR ME. Fast forward to today, I have been very busy at work and I needed to always keep track of time. Whenever I'd go on travel, I needed to have my phone in my hands all the time because I don't have a watch and that proves to be a very inconvenient thing for I have dropped my phone a gazillion times. And so I started contemplating if I should get a watch and then voila! #JORDWATCH came in the picture. I opted for their ELY series in Cherry since this particular style and color gives off the "I'm a sophisticated, professional and independent woman" feel that a lot of women around my age would love to have strapped on their wrists. 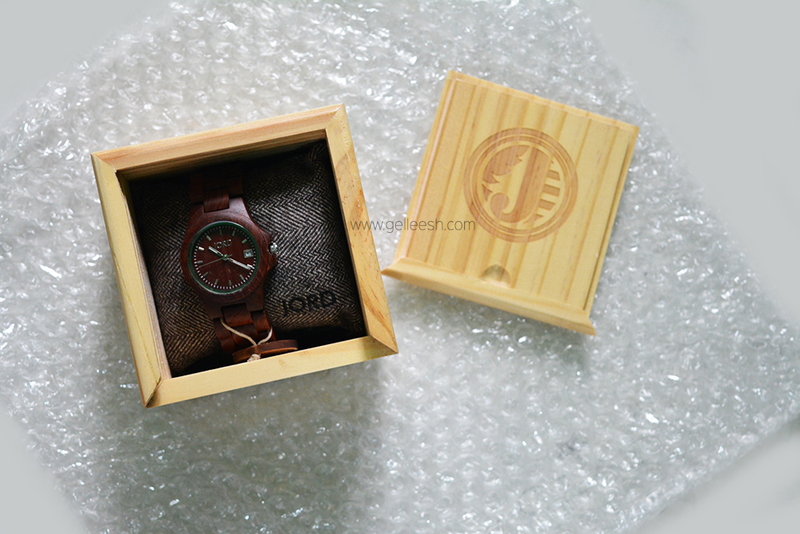 This is the first wood watch I have tried and I seriously cannot believe I'd love it like this. It's very light and it can go well with my casual and even formal look (I will be sharing some OOTD posts in the future with my Ely in Cherry Jord Watch). And since this is my first watch since college, I'm wearing it every single day - at work, date with the boyfriend, hang out with friends... You name it, I'm wearing it. 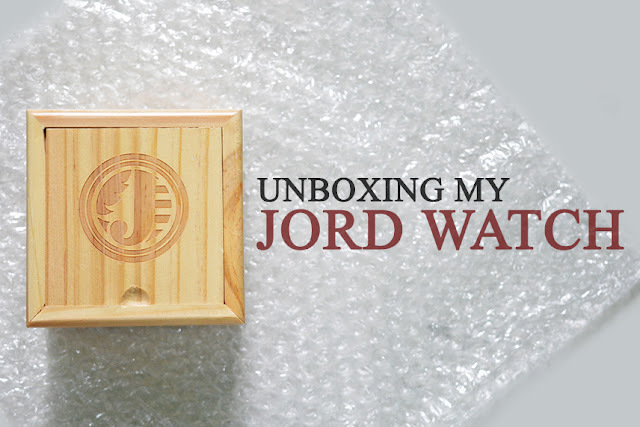 A lot of people have also been asking me where I got it (and some are even offering me cash because they'd like to buy mine instead - sorry, I love my #JordWatch). 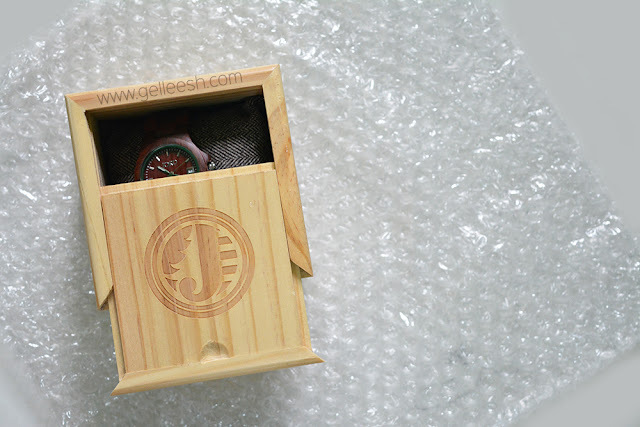 The piece also comes in this cool wooden sliding box (which I will so definitely re-use) and an extra piece for the bracelet in case... Hmm... your wrist gains weight. Teehee! To check out the specs of my watch click HERE. (If you're getting the same design, tell me, K?) Or you can just browse their website by clicking THIS ONE. 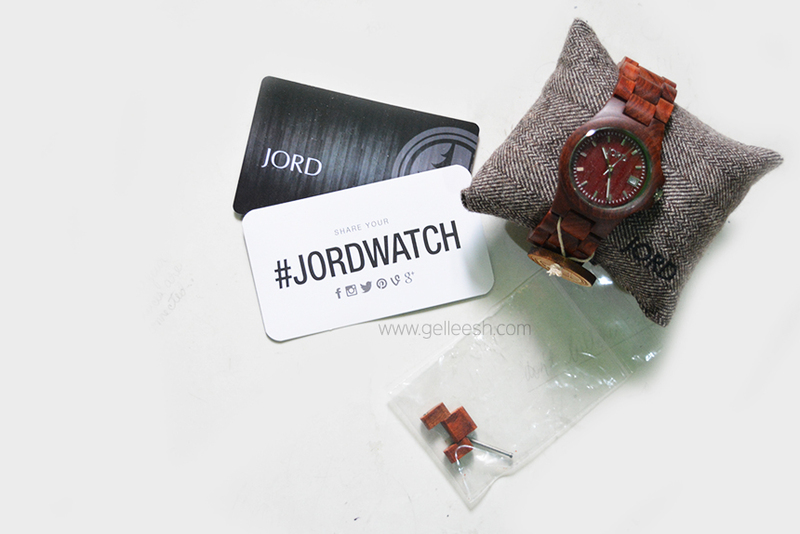 Thanks for posting Gel, your photo of the watch really got my attention! I enjoy watches and I'm really careful with mine since most of them are gifts from family. It's great to see that you're having fun with your #JordWatch! OMG! I can't believe you used to not wear a watch! I can't leave the house without a watch as far as I can remember. It's like my second skin! I have a curfew which I set for myself and I always want to be on time. I need to always check the time so I know how much time I have left. That watch is truly awesome! I have never heard of wood watch before. The color and style are too beautiful. Will you do a review about it?